A good slate mailer has finally arrived. 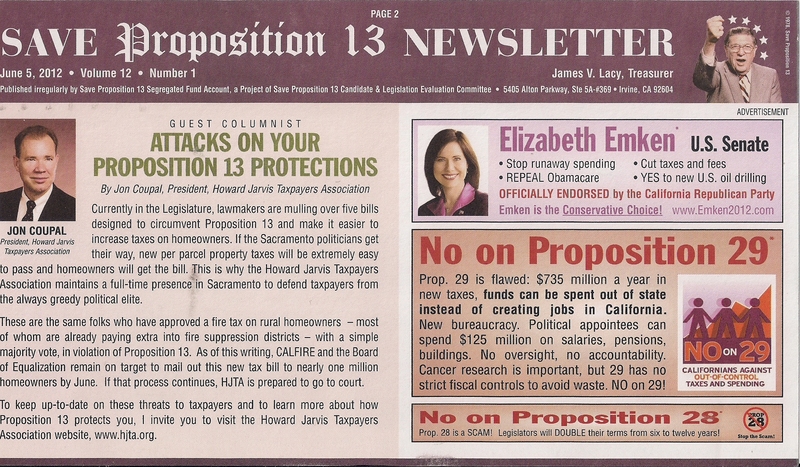 The Save Prop 13 mailer is one of the best in the business and it is one of the most common ones I see at my polling place when I go vote. Jim Lacy always does a fantastic job and I believe that his slate mailers will be the ones that survive even if candidates do realize what a scam slates are. 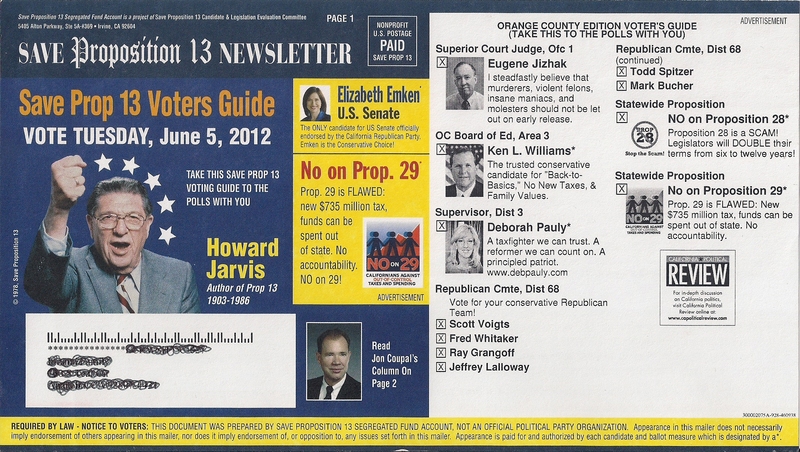 This entry was posted on May 23, 2012 at 12:51 PM	and is filed under Mail. You can follow any responses to this entry through the RSS 2.0 feed. You can leave a response, or trackback from your own site.